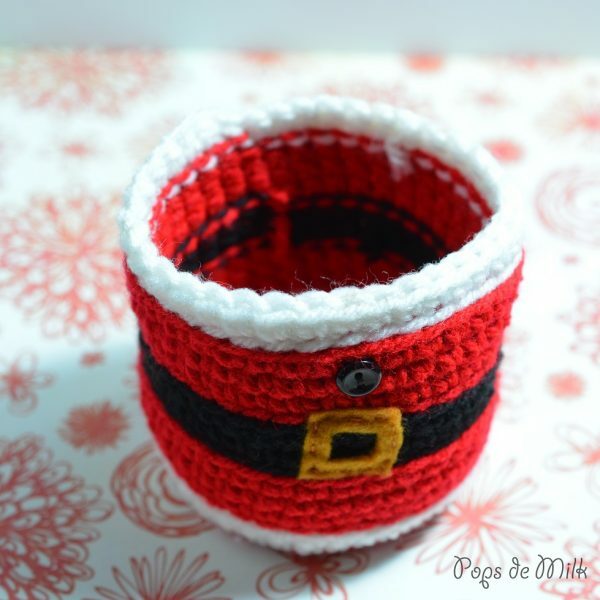 I’ve been seeing a lot of cute coffee cup cosies, in particular this Santa coffee cup cosy on Frogging Along. 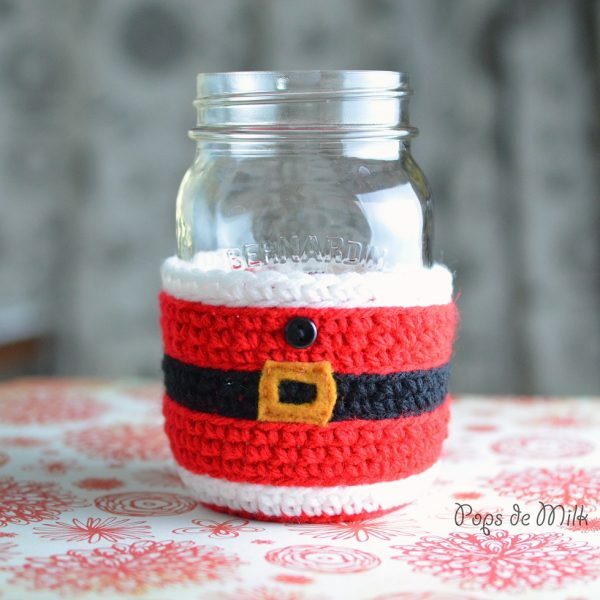 I thought it was so cute and naturally felt inspired to crochet a mason jar version! For this project I’m using my go-to mason jar cosy crochet pattern to make this cute beverage accessory, perfect for Christmas. I mentioned in a previous post that the 500ml mason jars are the perfect size for a tall (12oz) Starbucks peppermint mocha latte, or a hot chocolate with marshmallows! And if hot drinks aren’t you’re cup (or jar) of tea, this works wonderfully with cold beverages too. PDF version of the pattern can be purchased in my shop. Pattern is worked in continuous rounds, do not join or turn at the end of each round. Use stitch markers to keep track of beginning/end of each round. Colour changes are made in the last yarn over or previous stitch and for this pattern I used a great colour switch tutorial here on Oomanoot. Round 1: make 6 sc in ring or ch 2 and make 6 sc in 2nd ch from hook. Round 7: sc around in BLO. Round 8: (in both loops again) sc around. Make the belt buckle with a small square piece of felt and sew with matching thread. Sew small button above belt buckle.